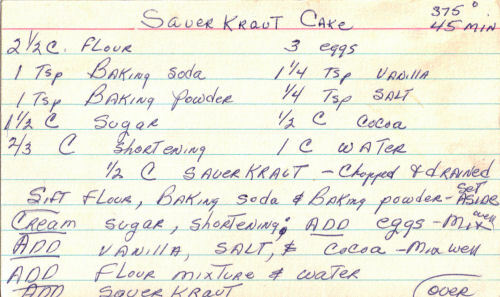 Not sure of the date for this recipe, handwritten on a lined index card. Recipe is typed below along with a scanned copy (front side). 13″x9″ pans 375° – 35 min.